Honest & straight to the point business. A+ in all categories. When needed I would buy again, as it was an excellent experience. Very personable, Willing to help out if able. Made the whole process easy! Excellent Service! We chose to shop here for a couple reasons. The vehicle we liked was here, but also after reading reviews and it being in a small town (not Twin Cities), we came here and purchased a Toyota Highlander. The sellers were friendly, helpful, courteous, and answered all our questions. Overall it was an easy experience. 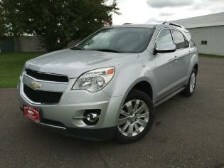 My husband and I had been looking for a new vehicle. We looked at all of the big dealers thinking we would get a better deal. Well we didn't and they just kept trying to push us into a car. I was so frustrated and literally felt like giving up! One day my husband got off work early and decided to go to Hi-Way Auto Sales. He found the perfect vehicle for us and we were approved in no time! I couldn't believe it! I would recommend them to ALL friends and family. Thank you Chris for everything! Thank you! 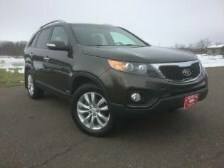 I wanted to drop a note of thanks to Chris for the help when I recently bought my 2011 Kia Sorento. I was looking to buy from a local dealer mostly to avoid the pressures of shopping at a large dealership and was not disappointed. Everything went so smooth and quick and I couldn't be happier with the over all experience. 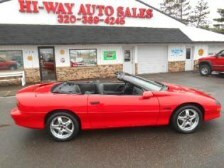 I would most definitely recommend Hi Way Auto Sales to anyone that is looking for a vehicle. Just wanted to post a comment on your website for the testimonials.  I purchased a vehicle from Hi-Way Auto Sales in April, 2015. 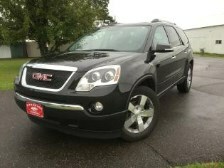 My experience with the staff was excellent, and the vehicle was as they represented, which was important as I purchased the vehicle from another state. Great people who operate with integrity, I would highly recommend them for your business. Great experience! 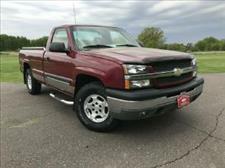 We found a great quality vehicle at the right price. Excellent customer service. Drove 2.5 hours to see a Jeep Liberty and was worth my time. 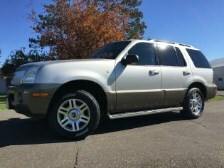 Car was in excellent shape and customer service Couldn't have been better! Josh answered all my questions and put the Jeep up on the rack for me to see without question. Financing was a breeze! Whole experience was great! Thanks!! 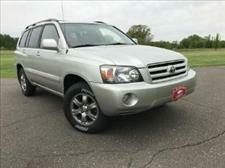 I have purchased two vehicles from Hi-Way Auto Sales. My last car needed repairs and they fixed it right away! I come here for routine service and will keep doing so. Very happy customer here! Great service and easy to work with. Would recommend to a friend. 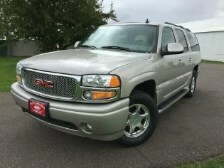 We purchased a used Yukon from Hi-Way Auto Sales and they were wonderful to work with! 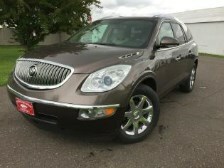 Josh & Tom, Just a note to thank you both for the outstanding customer service you provided in the sale of the 2009 Buick Enclave. You are well deserving of the 2016 Readers Choice Award! Throughout the years we have purchased 15 vehicles and Hi-Way Auto Sales was our best car buying experience of all. 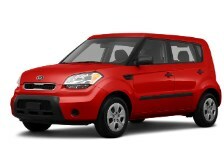 We asked for a Kia Soul and you went out of your way to look for one. We appreciate all you did to find us the vehicle we wanted! 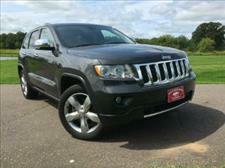 If you are looking for your dream car, go to Chris Bechrich at Highway Auto Sales and he will find it for you. 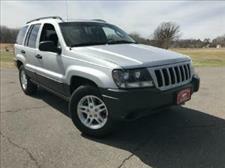 Their lot always boast the most unique pre-owned Jeeps, so a couple of months ago I stopped into the Highway Auto Sales office and described my dream Jeep to Chris. He wrote down some notes and took my business card. Two months later he found exactly what I had described to him. The deal came together quickly and Chris was very fair in his negotiations. I trusted him and his team. 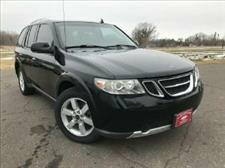 I recommend him and his team to anyone looking for a quality preowned vehicle. 4 out of 4 stars. Nice selection of cars & trucks, to go along with friendly staff! Hi-Way Auto is very courteous and great to work with. Very informative on all vehicles. The service dept is great and very detailed. Great job, very friendly and helpful!